Aviation has never been safer than it is today. However, as the volume of air traffic continues to increase in Asia Pacific, we have to find new ways to ensure those standards are maintained and improved. One of the four strategic themes that guide NATS’ approach to safety is “Safety Intelligence”. This involves sourcing, analysing and making value-added safety data available to everyone in a safety improvement role across NATS. It is an irony that as we get safer, we have less and less data to learn from. This is where the Safety Intelligence approach is helping as we can define and track lower-level safety events and leading indicators, using that information proactively to predict and then mitigate situations where risk could manifest itself. For example, we can monitor the occasions when aircraft maintain horizontal separation but “bust” their cleared flight level by 300 to 400 feet. Taking that a step further, if level busts are more prevalent when aircraft are instructed to change levels, specific climb/descent instructions can be identified and taken into account when redesigning routes or procedures to ultimately lower the probability of a loss in vertical separation. 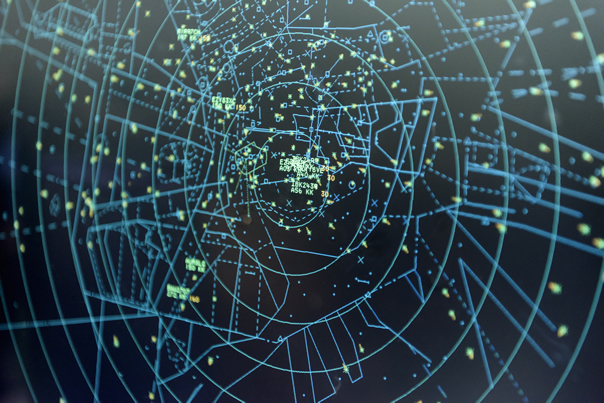 The Analytics Safety team at NATS defines how our safety and systems data is shared via our Business Intelligence data warehouse and dashboards – the one-stop shop for operational data across NATS. Once initially defined, data can be streamed into the warehouse each day and used with a variety of complementary information to help people make quicker and better informed decisions. The shift in making this safety data available across NATS at the click of a button has vastly increased the potential to identify areas of the operation which could be further improved, and to assess the impact of recent safety improvement actions. While better use of data is important, we also recognise that fundamentally it is people who create and ensure safety. NATS has a very open safety culture and one of our industry-leading initiatives is “Day to Day Safety.” This focuses on identifying and sharing the methods which individuals use to maintain an extremely high level of safety in their day to day roles. We use trained observers to record the positive techniques being employed, and the anonymised results are shared across the entire team for others to learn from and adopt in order to strengthen the team’s overall safety resilience. This is a technique that we regularly use for our air traffic control teams and which we also offer as a service outside of NATS, with a number of airlines and airports currently benefiting from this approach. In 2012 for example, NATS collaborated with Flybe, Europe’s largest regional airline to launch a ground-breaking collaborative safety initiative, FLOSS (Flybe Line Operational Safety Survey), in what is a world-first for adapting the benefits of NATS “Day to Day Safety” process for use within an airline. Thankfully, safety has become something that most people who fly can take for granted, but it takes a huge amount of work and on-going diligence to ensure it stays that way.